Here’s a back-to-school promo that you may find irresistible. 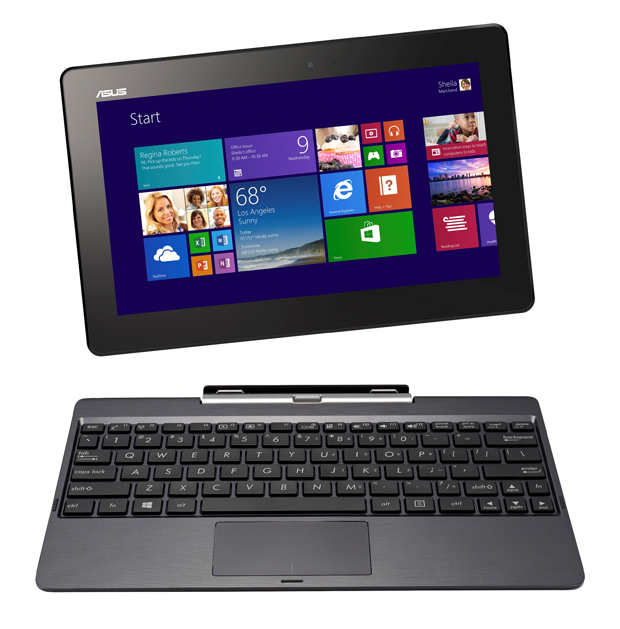 The Asus Transformer Book T100 is now on sale at Php22,995 and comes with Php500 National Bookstore Gift Certificate. 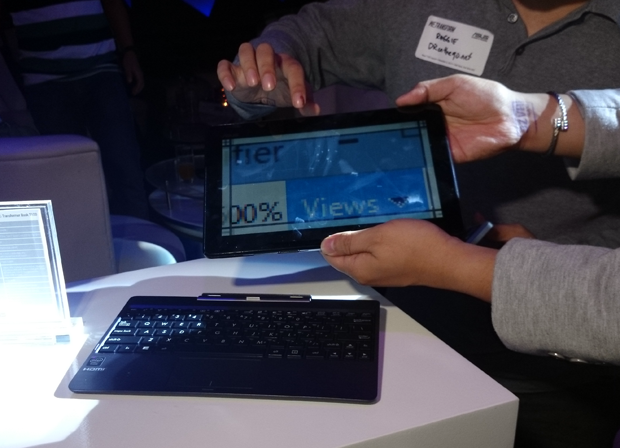 A connected device to help students in their studies, the Transformer Book T100 is a 10.1-inch device already running Windows 8.1 and pre-installed with Microsoft Home and Student 2013. It also comes with free Asus WebStorage (cloud storage). 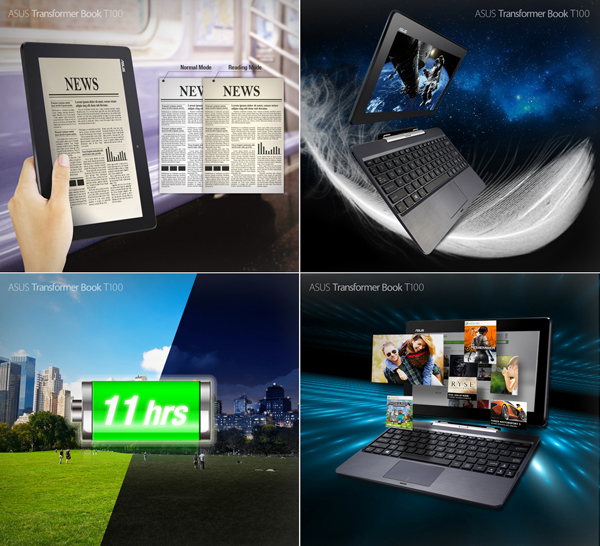 The Asus Transformer Book T100 is a best selling notebook-slash-tablet in the Philippines. Powered by the latest Intel Atom Bay Trail processor (Z3740 clocked at 1.33 GHz), it is always known for its performance and great 11-hr. battery life. With this device, multitasking can be done without issues whether doing a reaction paper on MS Word or Powepoint presentation report on Asian History. Cut the waiting time to transfer huge amount of files with T100’s USB 3.0 slot, almost 4 times faster than the regular USB 2.0. Store more school and personal files, your favorite music, movies and applications to its additional 500 GB HDD loaded inside the keyboard dock. Enjoy the best sound entertainment from the SonicMaster speaker while waiting for your school service. 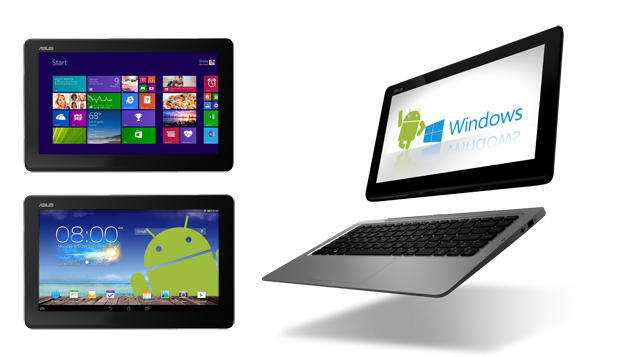 Productivity is also maximized with this device because of its detachable Windows 8.1 tablet equipped with 32 GB of eMMC storage, you can use it to read the required C.S. Lewis novel or take a break to play your favorite games and safely clip it back to the keyboard dock without any worries. 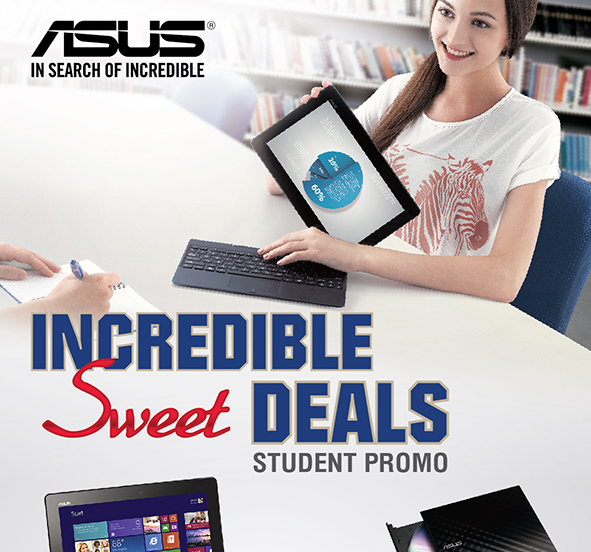 Weighing only 1.15 kg (2.54 lbs), bring the ASUS T100 to school everyday without hurting your back. 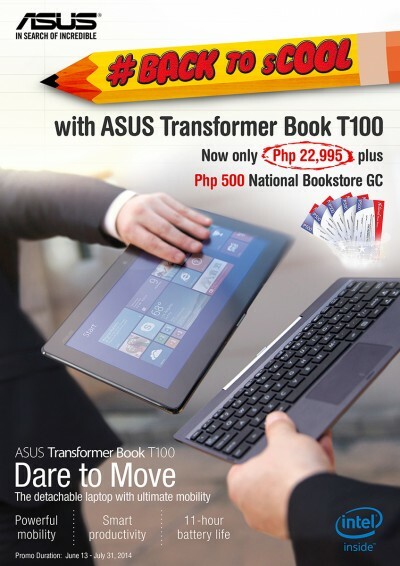 ASUS Transformer Book T100 now only Php22,995 with Php500 National Book Store GC is available at ASUS authorized re-seller PC stores nationwide.